It’s a little unnerving, right? So naturally I stuck it right on my homepage! What was I thinking?! 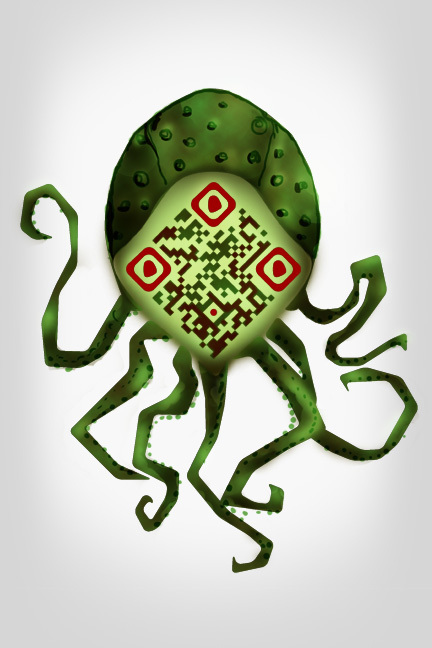 This is a fun custom QR code I did for myself around Halloween. I did an entire series of them and it’s likely you’ve seen them (or are going to see them) elsewhere on this site. This one is a bit unorthodox because most smart phones have to be tilted slightly to the right in order for it to read. I wouldn’t do this for a client because of that (unless they reallywanted me to), but this one’s just for me.